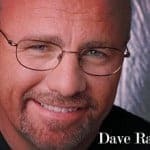 Since I've been blogging about personal finance, one thing I've read quite a bit about and been impressed with is Dave Ramsey's Baby Steps for getting out of debt. The M-Network of bloggers is currently doing a series of posts on the subject. You can check them out at the links below! I also did a series on the baby steps, which you can find through the links below. Step 1 – $1,000 to start an Emergency Fund: Before you even get started on the rest of the plan, you need to save up a little bit of cash just in case small emergencies happen. Things like flat tires, doctor visits, and flying somewhere for a funeral will usually be covered by this small emergency fund. Step 5 – College funding for children: After saving for retirement you can save for your children’s education and college expenses. If you're considering trying the baby steps, give it a go! Even better, sign up for Dave Ramsey's Financial Peace University for added accountability! Have you tried the baby steps, or taken part in a Dave Ramsey class? Tell us about it in the comments! Dave Ramsey's 7 Baby Steps Review: Get Out Of Debt, Build Wealth And Give. Dave Ramsey's 7 Baby Steps Review: Is This A Debt Management Plan You Should Try?